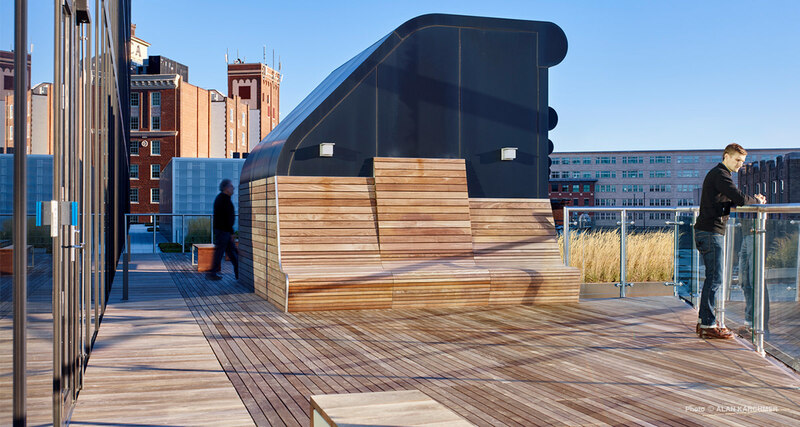 The garden includes an accessible wood terrace featuring modular seating elements that roll up the existing vent structures to frame the two garden spaces. 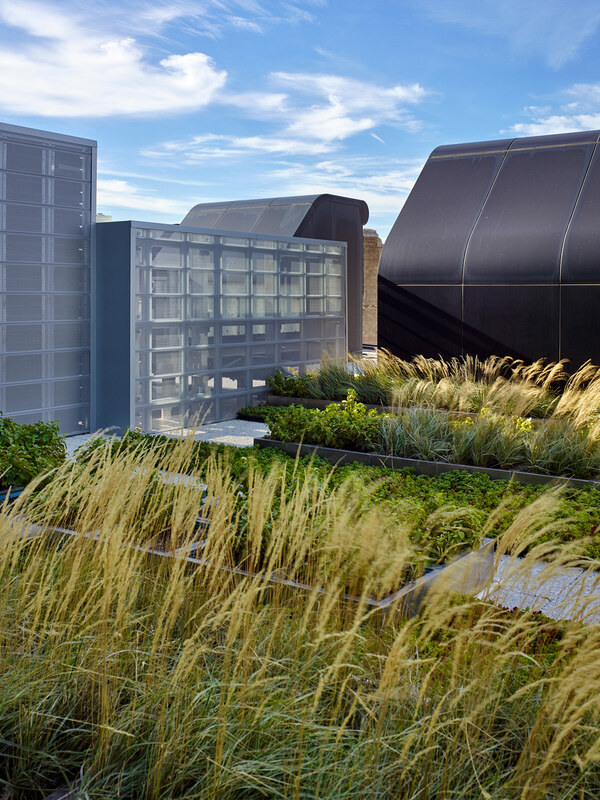 The 3,195 square-foot roof garden features a rich palette of plantings that range in height, color, and textures that vary throughout the seasons. 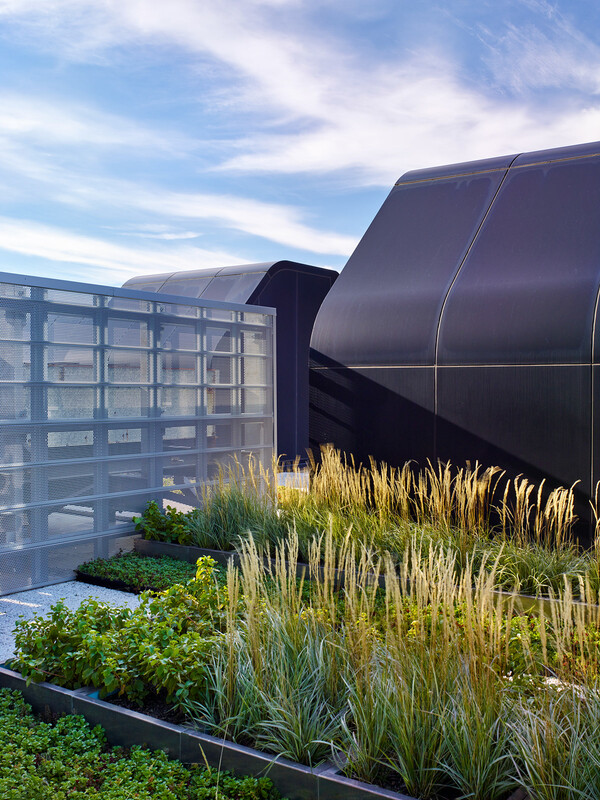 Native and drought tolerant plantings were chosen for the demanding microclimate of the roof. 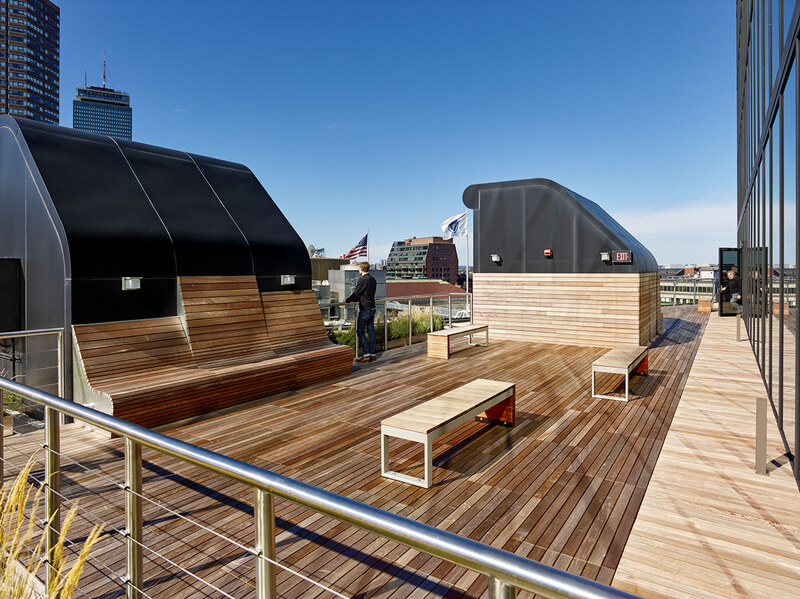 The John Hancock Tower Roof Garden is a green oasis in the heart of downtown Boston. The original site was a mechanical space on the 9th floor of the tower, housing the building’s intake hoods and HVAC equipment. 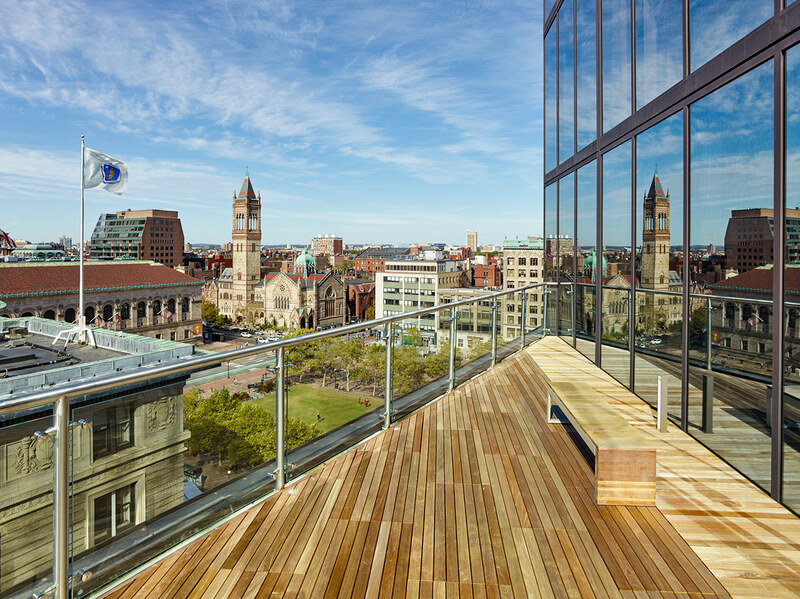 The site was underutilized and offered an underwhelming view for the building tenants. 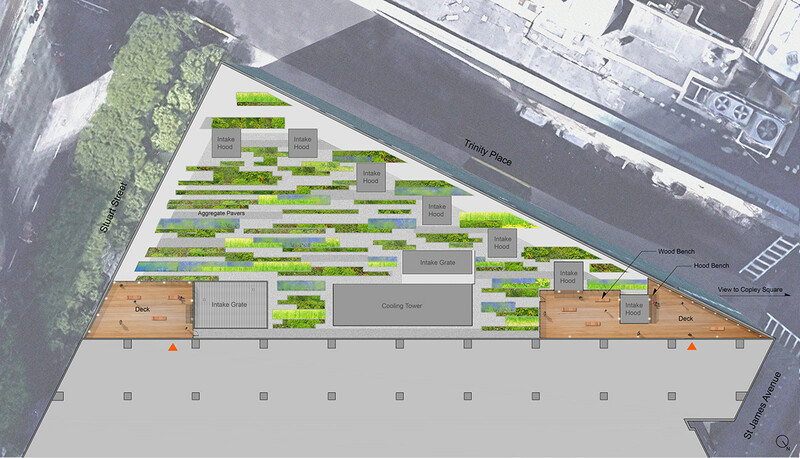 The project transforms this space into a productive and biodiverse landscape, reclaiming this space as a lush green roof garden with an observatory deck. The garden reflection that can be seen on the Hancock Tower along the Boston skyline now reflects the trend towards living roofs that provide the public a biodiverse oasis within the city.